Snapshot Japan: Enchanting Kyoto, a photo by nina_theevilone on Flickr. Kyoto, Japan’s old capital, is a Unesco World Heritage city. All the guidebooks and travelers recommend stopping by the city when they’re in Japan. Just three hours out of Tokyo via shinkansen (bullet train), the major sites can be seen in a day, but if you want to see more and spend more time in each, it’s best that you stay for a night or two. If you love taking pictures, Kyoto will not disappoint. The temples, shrines and palaces are well preserved and a marvel to explore. i fell in love with tokyo when i went there 2 years ago on 14day trip. sayang lang di ako nakapunta sa kyoto. nonetheless, the experience was worth it. I see you made it to torii gates of Fushimi Inari shrine! Believe na ako sa yo pag-nilakad mo lahat yung trail haha! That’s really THE walk! All set na sana kami tapos nakita namin yung map. Biglang nawalan ng energy hahahaha! Buti nalang we decided to at least make it to the next stop, because we saw our first cherry tree in bloom! Wohoooo! I’m glad you went to Kyoto! setting eto sa movie na “Geisha” Breathtaking! 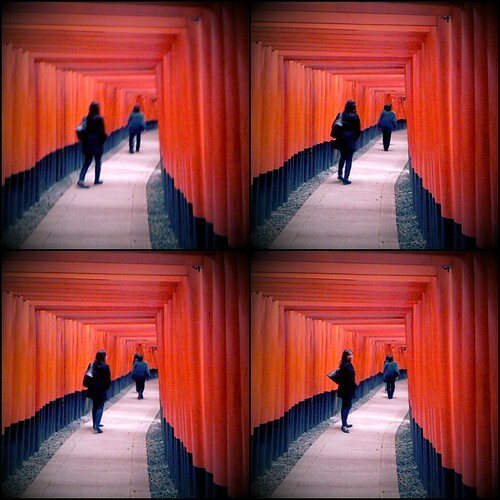 I am currently living in kyoto, glad that you went here. did you go the golden pavilion or in kiyomizu temple? those where famous spots here. Yup, we did! The Golden Pavilion was amazing!